Easy installation: High pre-assembly in our factory to save your on site installation time and labor cost High quality: ISO9001 certified factory, all the manufacturing processes are done by ourselves with thoroughly& strictly control. Fast delivery: The project under 4MW can be finished in 7-15 days. Competitive price: Lower cost based on same quality as made in Europe. 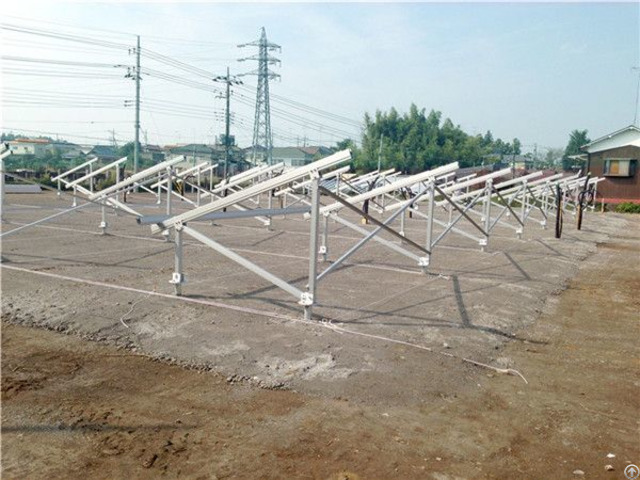 Xiamen Kinsend Metal Tech Co.Ltd, a professional solar mounting manufacturer and exporter in china, with anual production of aluminum 20, 000 tons and 300, 000 pieces of ground screw. Xiamen Kinsend Metal Tech Co.Ltd, a professional solar mounting manufacturer and exporter in china,with anual production of aluminum 20,000 tons and 300,000 pieces of ground screw. We provide one package service,starting from aluminum bar production, then profile extrusion,anodizing, also machining & packing,everything are manufacturered in our own factories.